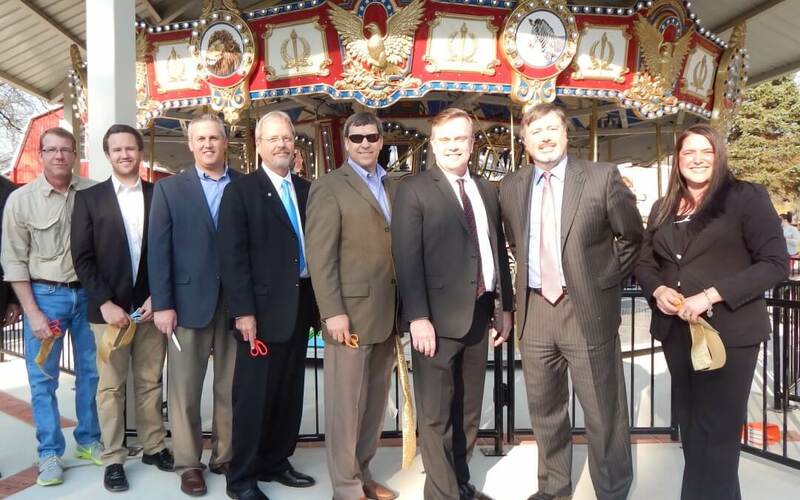 On Thursday, April 14, the Potawatomi Zoo hosted a VIP ribbon cutting ceremony to unveil the new Endangered Species Carousel and plaza. The new carousel, featuring 18 hand-crafted animals, is part of a multi-phase entrance plaza project – which has been in the works for many years. Ancon Construction is the Architect of Record and General Contractor for the multi-phase project. The Executive Director of Potawatomi Zoo Marcy Dean says, “I think it’s going to build a lot of excitement. It’s right here at the front of the zoo, you can hear the music in the park, and I think people will just be so thrilled to ride it.” The Carousel is now open to the general public and tickets cost $2 per person. “The Potawatomi Zoo is a life long partner with Ancon. We have designed and built many projects in recent years and we look forward to an exciting future with the zoo! It is one of our area’s greatest treasures!”, stated Ancon Representative Matthew VanSoest. For more information on the Potawatomi Zoo visit www.potawatomizoo.org.